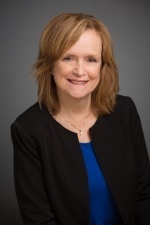 Kim is a versatile finance professional with over 35 years of experience in diverse industries including manufacturing, non-profit, healthcare, real estate and insurance. She has comprehensive experience in strategic planning, direction, and policy making as well as management experience with both small and large companies, private and publicly held. She is a key player in acquisition due diligence, turnaround, and start-up. 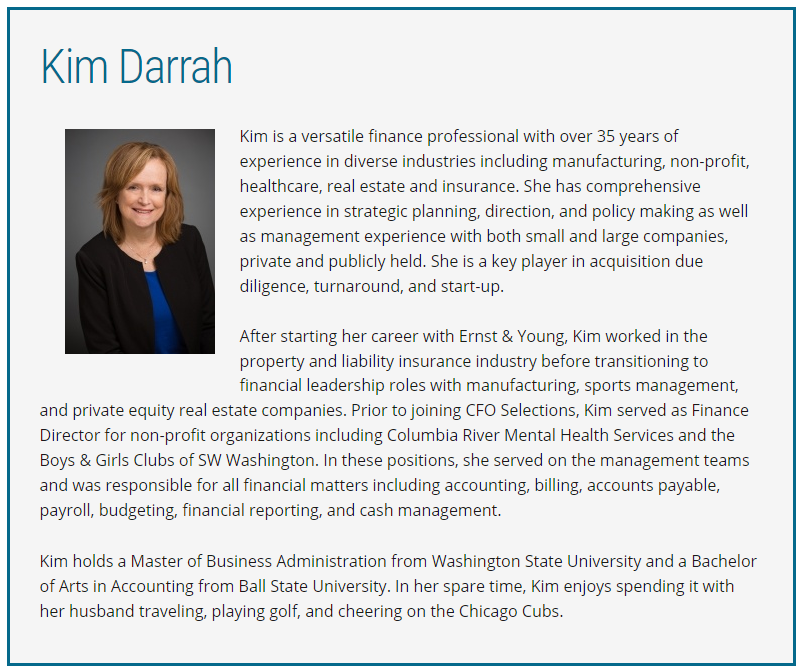 After starting her career with Ernst & Young, Kim worked in the property and liability insurance industry before transitioning to financial leadership roles with manufacturing, sports management, and private equity real estate companies. Prior to joining CFO Selections, Kim served as Finance Director for non-profit organizations including Columbia River Mental Health Services and the Boys & Girls Clubs of SW Washington. In these positions, she served on the management teams and was responsible for all financial matters including accounting, billing, accounts payable, payroll, budgeting, financial reporting, and cash management. Kim holds a Master of Business Administration from Washington State University and a Bachelor of Arts in Accounting from Ball State University. In her spare time, Kim enjoys spending it with her husband traveling, playing golf, and cheering on the Chicago Cubs.